I’ve have a guilty secret which is going to surprise my readers I think. Hubby of course knows, my very closest friends do (you know who you are) and the people I’ve met as a result (and very luckily there are the lovely people who overlap) know my dark secret. 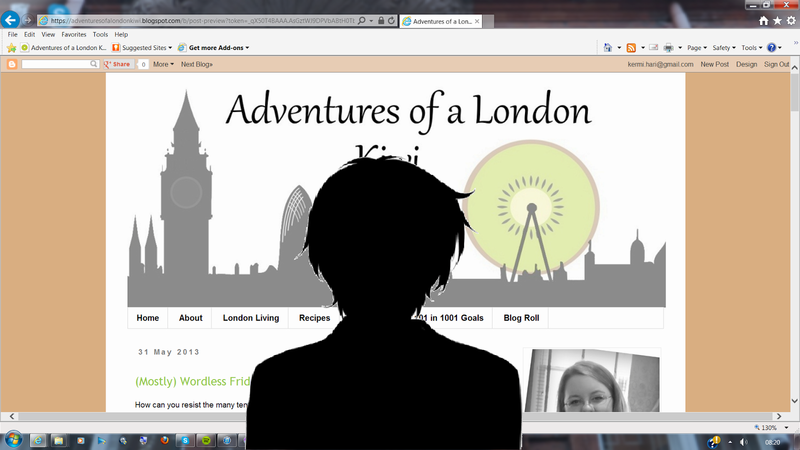 Almost no-one I know, knows that I blog. I’m not ashamed of it by any means, the world is becoming increasingly digital, and it’s nice to have somewhere that I can be pretty anonymous, where I can share the stuff that I like. What I love most about it is the opportunities that you can end up making for yourself. I’ve met some really lovely people as a spin off of blogging, found a few new interests as a result, tried several delicious restaurants and have begun to properly explore the crazy place that London is. It’s also kind of weird that it’s making me more confident outwardly in the ‘real world’. I’m putting myself forward in ways I never thought that would happen. I love my secret. Even when I’m having one of the horrendous ‘I hate London days’, and I do, it’s not all scones and daisies, it’s something to distract me. By far the best bit is all of the other blogs and bloggers I’ve met. I hope you are having a lovely lovely weekend.